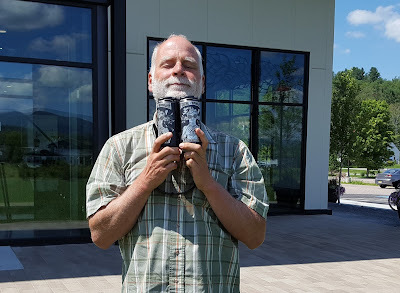 The So Cal Craft Beer Blogger (SCCBB) recently had the opportunity to visit the Northeast Kingdom, God's Country, not far from Burlington, where Vermonters have "felt the Bern" for decades. 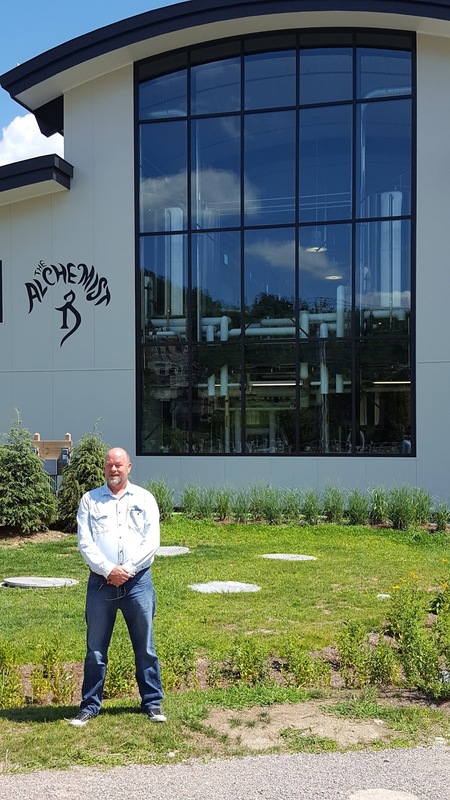 First stop was The Alchemist, which opened its new 30-barrel production facility and visitors center in Stowe, Vermont less than two months ago. 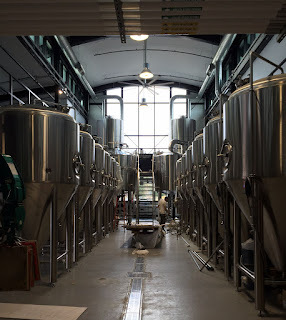 The original production facility in nearby Waterbury (where the original brewpub and 15-barrel brewhouse have been run by John and Jen Kimmich since 2003) was destroyed by super-storm Irene in August 2011. 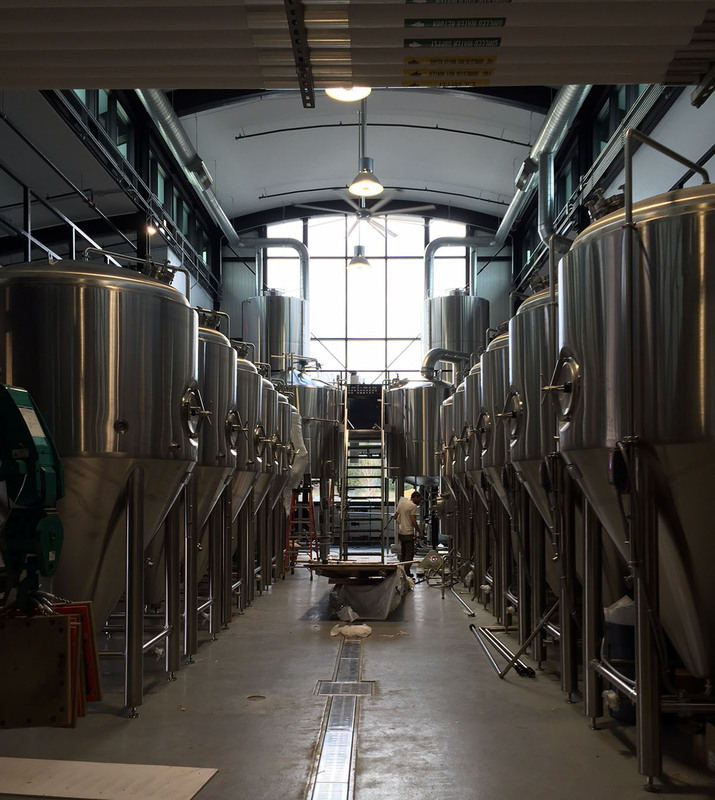 Your So Cal Craft Beer Blogger is going to come clean: he'd never heard of The Alchemist, and he'd never heard of their signature beer, Heady Topper, before making this trip. It was his friend and beer guru, Sir Ted of Sonoma, who insisted the two knights errant undertake this pilgrimage. the two knights errant undertake this pilgrimage." What Sir Ted knew, and the SCCBB did NOT, was that Alchemist Focal Banger (IPA, pictured) and Heady Topper (Double IPA) were ranked 3 and 4 in the world by RateBeer.com. Sir Ted favors the Heady Topper, while the SCCBB is partial to Focal Banger, which beer raters describe as having Juicy Fruit Gum notes, along with a light bready sweetness in the malt. Ted, whose home brewpub used to be Russian River in Santa Rosa, California, until it got so hip that he and his lady fair could no longer sup there, was familiar with the crazed frenzy of fanatics lining up to get their allotted beer quota at the Alchemist retail store (two four-packs apiece of Focal, Heady, and their hop-bomb, Crusher, if memory serves). The parking lot, mid-week in late July, was mobbed with a steady stream of cars with New York, Connecticut, Massachusetts, New Hampshire, and Maine plates. This is because the Alchemist does not distribute beyond a 30-mile radius of its production facilities. The SCCBB is a graphomaniac, and loves symbols, so he was particularly fascinated by The Alchemist's logo. Deep research revealed that it is a stylistic reimagining of the ancient alchemical symbol for "fermentation," based on the astrological glyph for Capricorn, which happens to be Sir Ted's Sun Sign.